Bangalore, June 08 2018: Doctors at Fortis Hospital, Cunningham Road treated a rare condition on a 38-year-old patient by performing a unique Peroral Endoscopic Myotomy (POEM) procedure here recently. 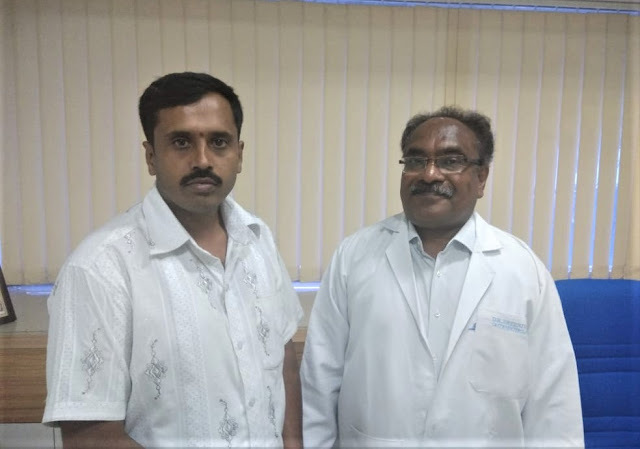 The team of doctors was led by Dr Sreenivasa D, Chief Gastroenterologist, Fortis Hospital at Cunningham road in Bangalore. Achalasia is a rare disease of the muscle of the lower esophageal body and the lower esophageal sphincter that prevents relaxation of the sphincter and an absence of contractions, or peristalsis, of the esophagus[i]. While its causes remain unknown, this condition degenerates esophageal muscles affecting one’s ability to swallow, chest pain and regurgitation of food and liquids. The patient, Mr Ambareesh who works at a de addiction centre approached the hospital after failing to get treatment in other hospitals. POEM is a relatively new procedure that uses endoscope (an instrument used to examine the interior of an organ or cavity of the body) to make a tunnel into the food pipe wall. An incision tool attached to the end of the endoscope cuts through the muscles at the bottom of the food pipe, that helps food pipe to relax. This enables food to move down without causing further trouble while swallowing.